You know how once in a while you have a few Snickerdoodle Cookies that stick around for a couple days and get all nice and crunchy? 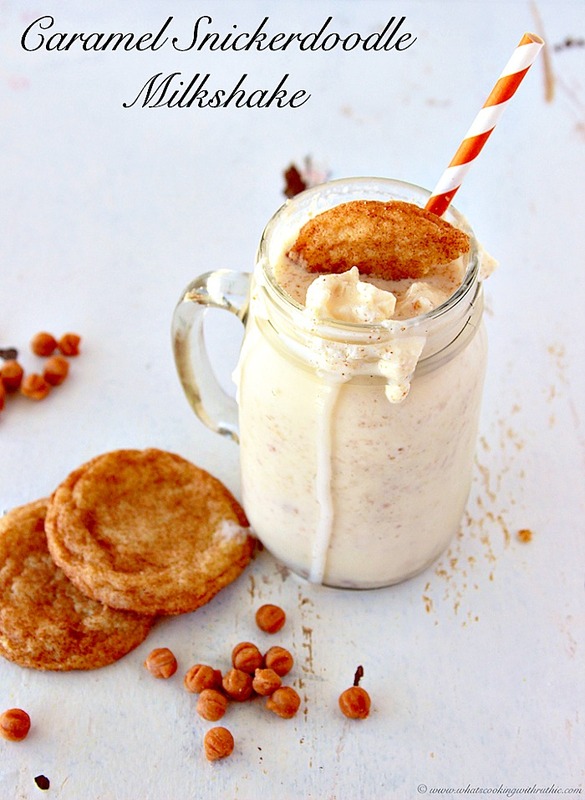 Well, they’re fabulous in a glass of milk but REALLY fabulous thrown into a blender with some icecream! Combine in blender milk and icecream, blend until smooth. Add cookies, pulse 4-5 times to mix and break up cookies. Add caramel bits, pulse 2 times just to mix in. 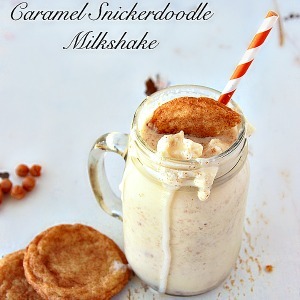 Bake up a batch of our tasty Snickerdoodle Cookies and enjoy them twice… fresh from the oven and then whipped up into this delicious Caramel Snickerdoodle Milkshake! YUMMY.